Alecia and Aidan are our heroes! Her mom let them stay temporarily, but Alecia and Aidan would soon have to find somewhere else to live. Feeling alone and terrified, Alecia started desperately searching for help. Bridge Communities came to her rescue. Initially, Alecia struggled to get her feet on the ground. Bridge’s mentors and counselors helped her become more confident and ready to tackle her challenges. “I’ve learned I really can do anything and I’m strong,” she says. Through employment coaching, Alecia successfully moved her part-time position to full-time, with benefits. Then, Alecia enrolled in school to earn an Administrative Assistant Certification! Alecia worked hard. She saved money and graduated from Bridge in two years. This spring, she achieved her life-long goal of purchasing her own house. We couldn’t be prouder of her! She’s an amazing, determined young woman with a bright future ahead of her. Bridge cannot help Alecia and hundreds of other homeless families without you. You have the power give homeless families a new start in life, and the life-changing gift of hope. 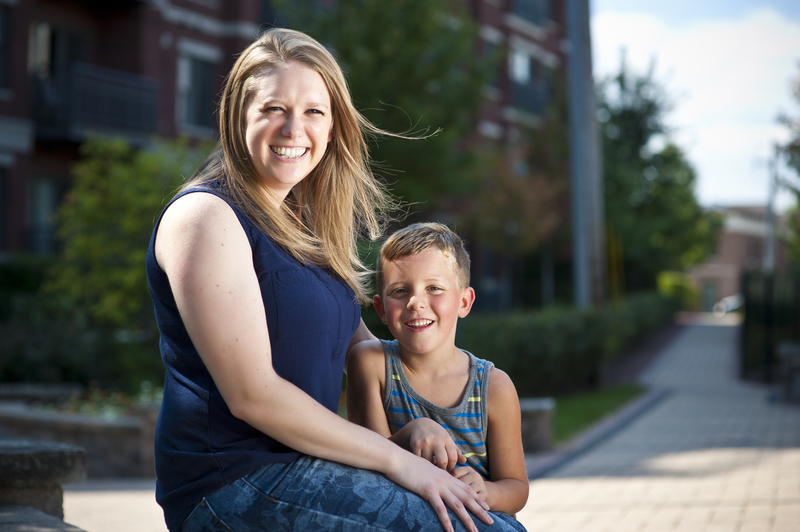 Please consider giving to Bridge Communities, to help the next family just like Alecia and Aidan.